Here in the Midwest we have been dealing with hot weather for quite some time. It is almost October and we have finally begun to cool down. Thank goodness because this middle aged woman can feel hot when it is 70 degrees. Not sure if my facts are correct but feels like we have been dealing with the 90’s and 100’s since May. Today it is cool and crisp and for the first time in what seems like an eternity it feels like fall. Now fall to me is what heaven should be like. Cool crisp mornings, a little warmer during the day and back to cool crisp evenings. The leaves should always have color to them and pumpkins and bright colored mums should always speckle the landscape. There is so much to love about fall. 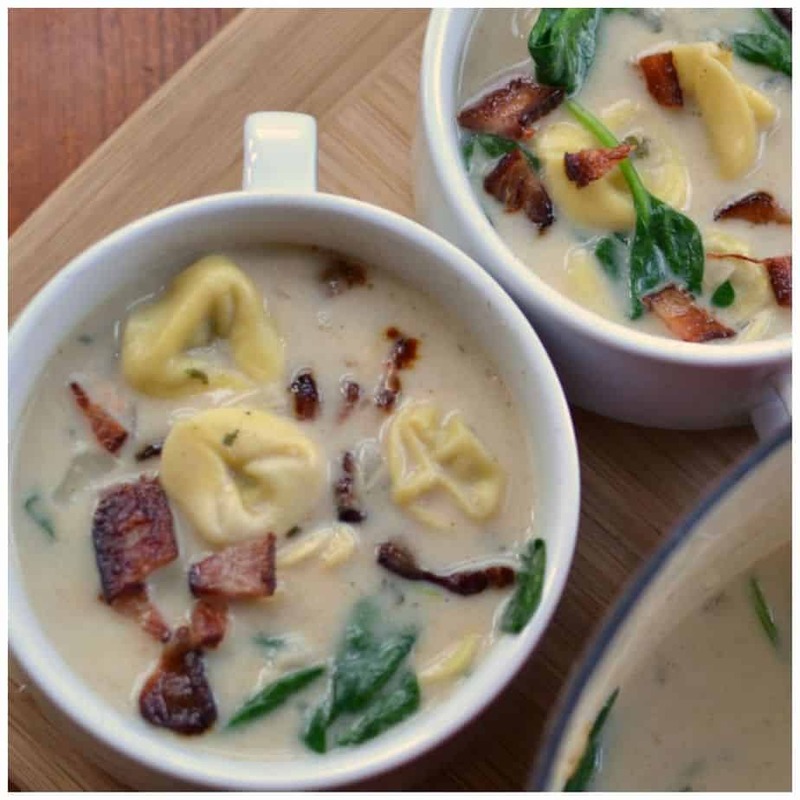 This Creamy Bacon Spinach Tortellini Soup is just one of many!! Of course I love soup anytime of the year. Fall just makes it that much more enjoyable. 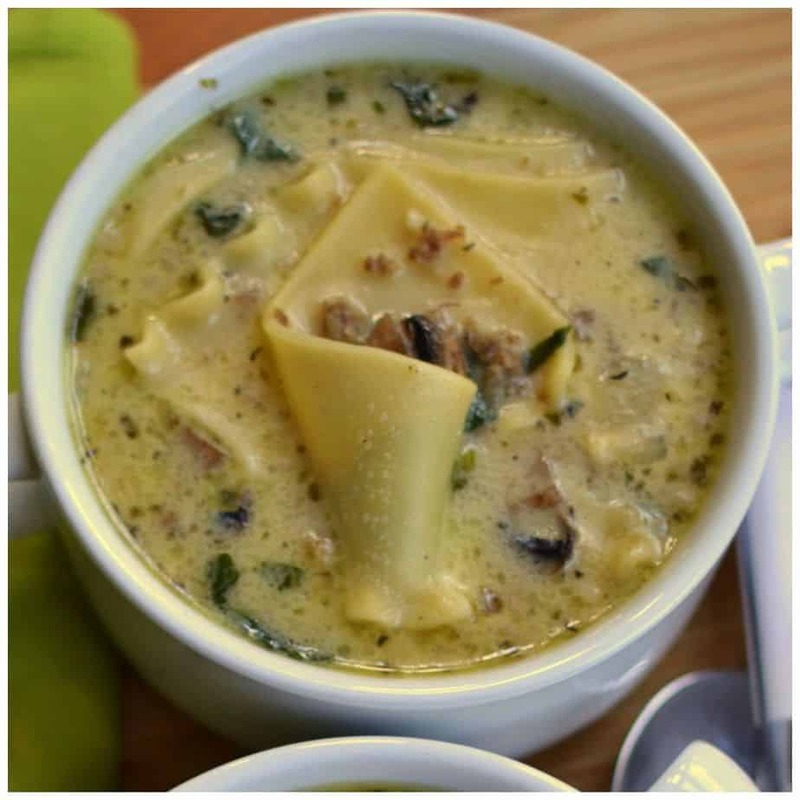 This easy soup can be prepared in no time flat. If you cook your bacon ahead of time in the stove you can get it done even faster!!! 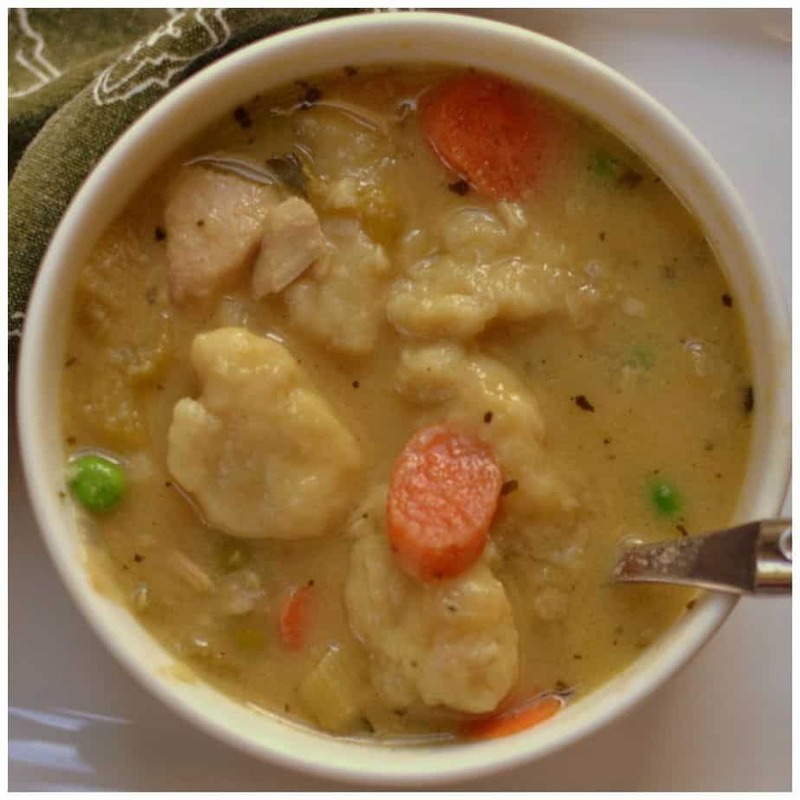 So get out your heavy stockpot or dutch oven because it is soup time!!! 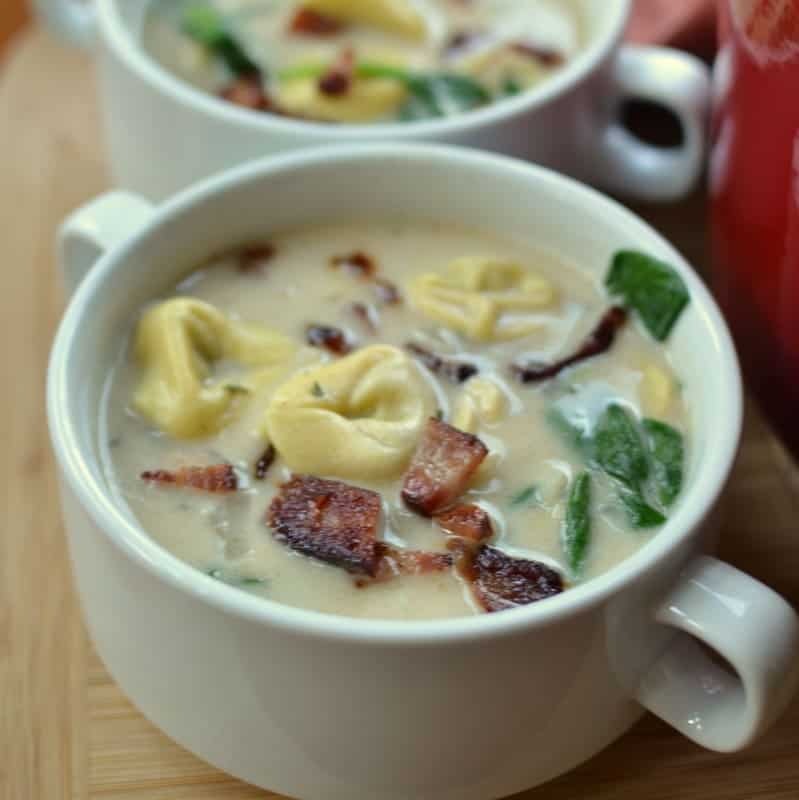 This tasty little number combines bacon, spinach, onions, garlic, and pork & beef tortellini in a creamy broth that almost begs for you to lick your bowl. I kid you not!! It only takes about 30 minutes to prepare this delight so it can easily be made during the week! 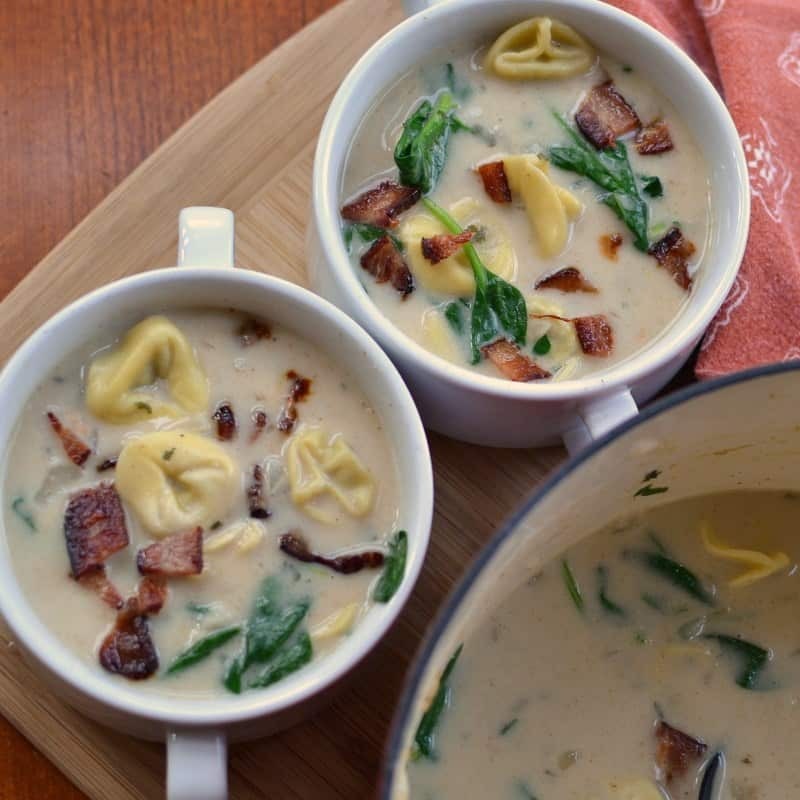 I hope you enjoy this Creamy Bacon Spinach Tortellini Soup as much as my family does. Don’t forget to soak in everything that fall has to offer. It is by far the most beautiful season of the year!! Melt butter over medium low heat in large stockpot or dutch oven. Add onion and cook 4-5 minutes or until tender and lightly browned on edges. Add garlic and cook for additional minute. Whisk in flour and cook for 30-60 seconds. Slowly add chicken broth whisking continuously. Add parsley, cumin and sririacha. 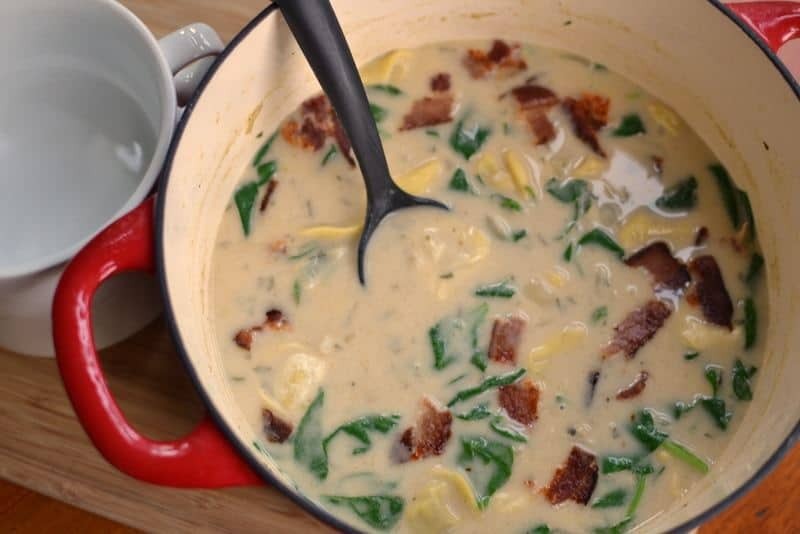 Cook until creamy and slightly thickened; approximately 10 minutes. Salt & pepper to taste. Whisk in half and half and cook an additional 5 minutes. Add tortellini and cook 5 minutes. Add spinach and cook for 1-2 minutes or until tortellini are cooked. Sprinkle with bacon right before serving. Increase or decrease the amount of sriracha according to your taste. One teaspoon does not really add any heat. It just adds flavor. 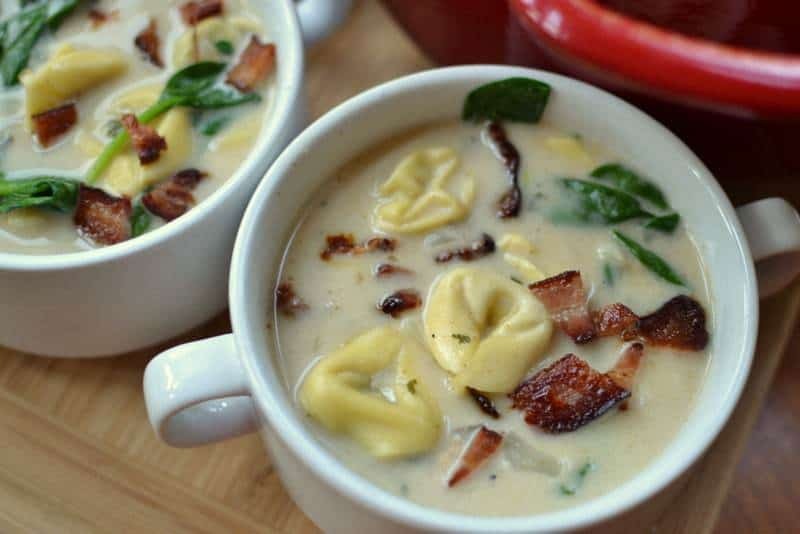 Other delicious soups you will love!